The Laser is truly the boat for all ages from our Junior 4.7s to our legendary (over 75 year old) Masters. No other adult class is raced in more countries in the World, in a class which takes grass roots to Olympic sailors. Come and join us to see why! Not only are there nearly 215, 000 boats out there at the time of writing, but there is truly something for everyone in a combined class which covers the competitive weight range for nearly everyone from junior to adult, although it is not just about racing. Lasers form a key part of many sailing holiday fleets for people who just want to blast or potter around for fun. Many of the world’s best sailors, difficult to mention them all, have come through the Laser rank. 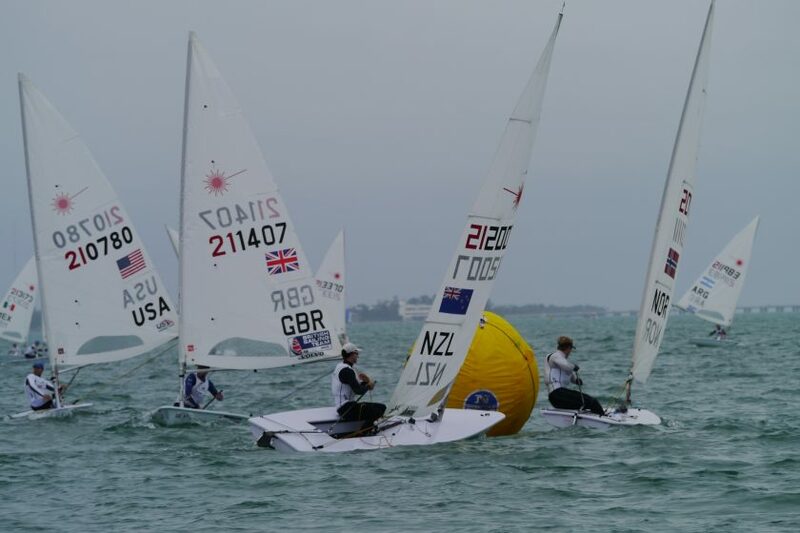 It seems like medalling in an international Laser event means you are likely to be able to medal in future classes as Laser sailors go on to compete in nearly every aspect of the sport. Ben Ainslie, Iain Percy, Paul Goodison, Robert Scheidt, Francesco Bruni, Tom Slingsby are probably the best known, and with so many to choose from it is hard to know where to start. Behind them, there is a whole host of talent with the level just getting higher and higher. The inspiration for a young sailor joining the fleet is there for all to see. Yet for the Masters, the competition is in a way no less fierce and keeping active in older age is recommended on so many levels. After all, Laser sailing has been compared to cycling, so it certainly keeps testing you both physically and mentally, and the Masters’ European circuit continues to go from strength to strength. The core skills you learn in Lasers: the starting, the tactics, and the fitness lifestyle are for life, not to mention the ability to surf downwind whilst within Rule 42, and navigate every type of wave upwind in a non-planing boat. We are always learning, and this is the reason the Laser remains as popular today as when it was first launched as a beach boat in 1969. It is not only about having a rig for every weight but competition for every level. Of course, this varies from region to region. Another beauty of the Laser is the ability to jump on a plane and charter a boat when you get to the regatta. Due to the class’s numbers, there is no other class where this option is so widely available. So, whether your aim is simply to have fun on those warm sunny days when the wind allows you to plane freely without getting blown off the water, or you have the Olympics firmly set in sight, there are step-by-step routes to success. 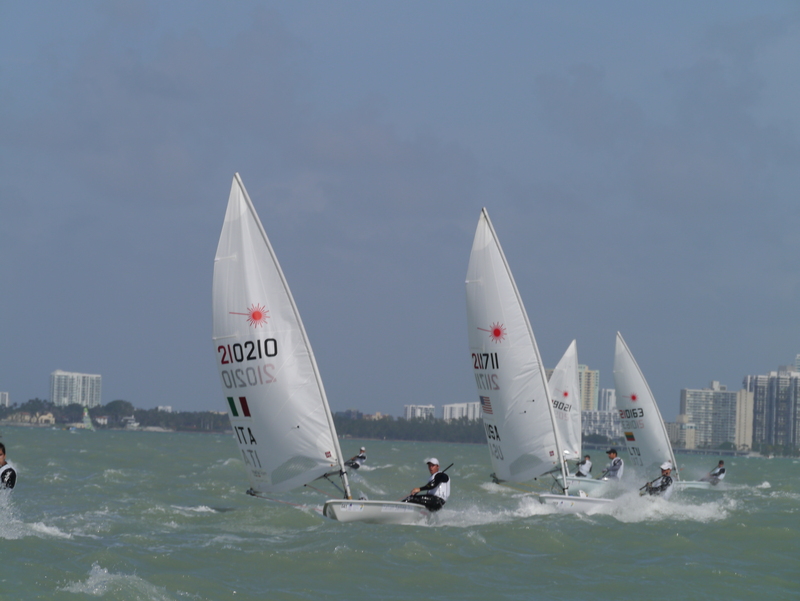 Club sailing: There are very few dinghy clubs anywhere in the world without a Laser or two, meaning that fleet racing is possible. This really is the true test of skill, racing against someone in an identical boat. Whilst handicap racing has its place and means, we can race our friends who are of very different body weights or sail very different boats, this is a far from perfect system because an overpowered boat will always tend to do well in light winds and an underpowered boat do well in strong winds, especially if it has a trapeze and can plane upwind! Europa Cups are not only for European sailors. Indeed, we see many sailors from all over the world attend these and they make an excellent stepping stone to other international events. More and more, the other regions are having their own circuits of events. Europeans: In recent years, probably the greatest depth of competition has been found in the European region, meaning those from other regions will travel to participate not only in the EurOlym regattas (Olympic class events in Europe) with world class venues such as Garda, Medemblik, Kiel, as well as the European Championships (and Open Trophy) themselves. For example, in Asia we have the Asian Games, in America the Pan-American Games. However other regions are working hard to catch up. Perhaps the biggest Worlds is the Sailing World Championships run by World Sailing every 4 years, which features all Olympic classes, and sitting roughly in the middle of the Olympic cycle is the major country qualifier for the Olympics. 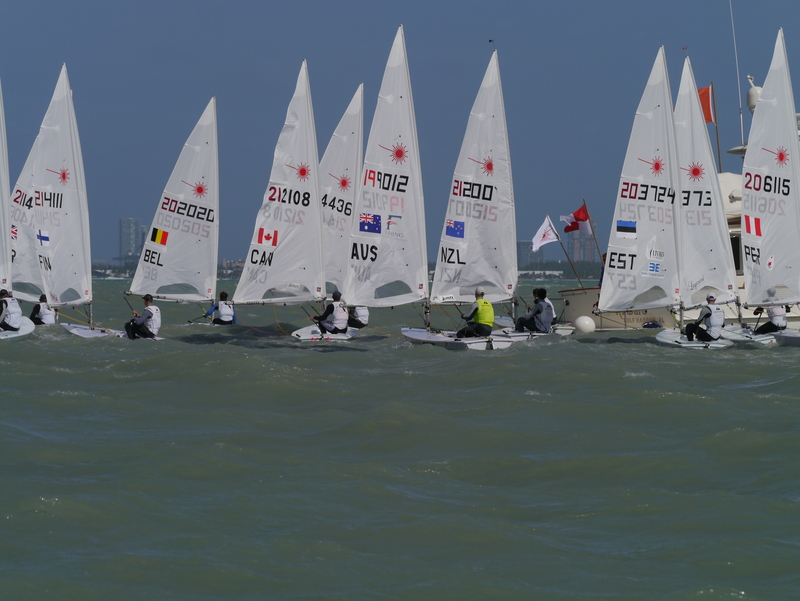 World Cups: Being an Olympic class, both the top Laser and Radial sailors will do the invitation only World Cup Series, which also forms a very important part of the World Sailing ranking (as these World Cup events generate a lot of ranking points). The circuit currently visits Asia, North America, Europe with a final, for an even further reduced number of sailors counting all three events. For more information, please see http://www.sailing.org/.